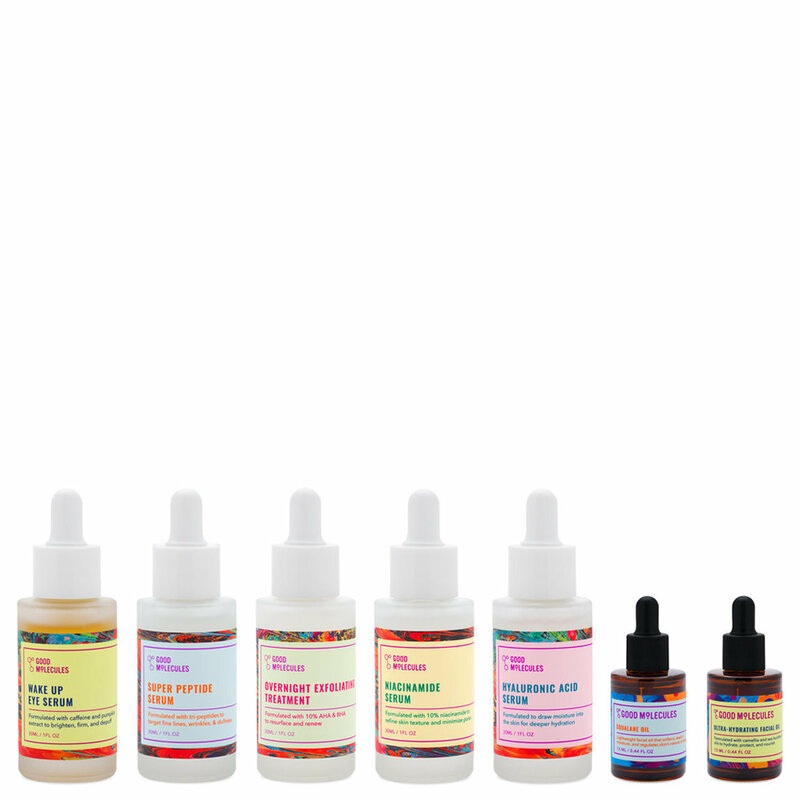 This bundle includes all seven of the Good Molecules line. Each one is effective, affordable, and sure to become a staple in your skincare regimen. 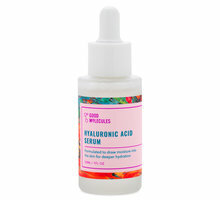 Hyaluronic Acid Serum: Get long-lasting hydration with this water-light serum draws moisture to the skin. Niacinamide Serum: Helps to refine skin tone and texture for a brighter, healthier-looking complexion. Overnight Exfoliating Treatment: Blend of 10% alpha and beta hydroxy acids help to resurface and renew, smoothing away dead skin cells and unclogging pores to reveal visibly radiant skin. Squalane Oil: 100% plant-derived squalane to soften and seal in moisture for a healthy, hydrated complexion. Super Peptide Serum: Hydrate, brighten, and smooth with this blend of peptides and copper tripeptides for a youthful-looking glow. Ultra-Hydrating Facial Oil: Lightweight blend of camellia oil and sea buckthorn oil relieves dryness and dehydration, leaving you with a smooth, dewy glow. Wake Up Eye Serum: Brightens, firms, and reduces puffiness around your eyes with caffeine and pumpkin extract for a noticeably more energized appearance. 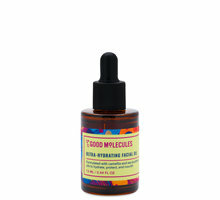 Hyaluronic Acid Serum: Apply a few drops in the morning and at night before oils, creams, and moisturizers. For best results, apply to damp skin. Let absorb for 30 seconds before continuing with your routine. 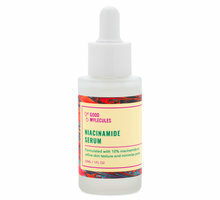 Niacinamide Serum: Apply a few drops to your skin in the morning and at night before oils, moisturizers, and creams. 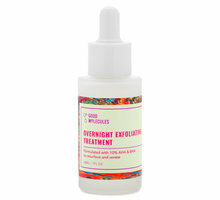 Overnight Exfoliating Treatment: Apply a few drops to clean skin at night up to three times per week. Let sit for several minutes before continuing with your routine. May cause irritation if used with retinol or other acids. Always wear sunscreen when alpha hydroxy acids are part of your routine. Squalane Oil: Apply a few drops to the skin in the morning and at night after serums and other treatments. Let absorb for 30 seconds. 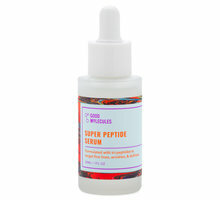 Super Peptide Serum: Apply a few drops in the morning and at night before oils, creams, and moisturizers. Let sit for 30 seconds before continuing with your routine. Ultra-Hydrating Facial Oil: Warm a few drops between palms and gently press into skin. Use as the last step in your routine or under moisturizer. 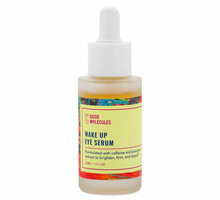 Wake Up Eye Serum: Massage a drop or two into the skin around your eyes in the morning and at night. Note: Sets/bundles are sold as-is and products cannot be substituted, customized, and/or returned individually. When I first saw Beautylish release Good Molecules I knew I had to try them because they care a lot about their customers so I knew their products would be high quality and still affordable. I couldn't decide which one to purchase so I ended up getting all 7 and I love every single one! My favorite is the overnight exfoliating treatment I put it on before bed and my skin is super soft the next day. I normally have sensitive skin but none of the products have irritated or burned my skin at all even using multiple serums with each other. I apply them in the morning and at night and my skin is already smoother and hydrated and my pores are a lot smaller after just a few days. Just a few drops of each go a long way so this will last me a while and I love the price! The packaging is really nice too with thick glass bottles and the serums have a stopper so you don't get excess product everywhere. Please consider making a travel size pack cause they're now a part of my skincare routine, and I insist on packing all 7 with me when I go away for the weekend lol! Thanks Beautylish! Glad i took the chance to try this line. If you are new to skincare, this is a easy "no thinking needed" set to get all you need for good skin! Good Molecules put together a set that targets most skin conserns and I would recommend this set to everyone - Newbies and the skincare junkie! For a great price you get all you need! And after I saw Wayne Goss say he mixes 3 drops of each product and use it as a night treatment, and we all jo that Wayne can do no wrong and in this case he did not disappoint - mixing it all feels like a crazy super serum and makes my skin look amazing! Should be called the Seven Wonders! This skin care line is EVERYTHING! I’ve been having issues with rosacea and just uneven skin tone in general. I saw this set on Instagram and figured I’d give it a try. I am so thankful I did! My skin hasn’t felt or looked so healthy in such a long time. I’m 26 and I feel like these products are also helping me get a jump start on anti-aging! I highly recommend! Amazing price and quality skincare! I purchased the bundle because I was so interested in the products the formulas mimic a certain “ “ elephant Sephora brand people rave about! They have a aha/bha treatment called nighttime exfoliated that mimics their $80 baby facial it’s incredible. They also have polypeptide serum that also mimics the higher-end brands’ cream. So I definitely see a trend and am loving it. My skin is smooth and texture has drastically reduced in just a week what an amazing find!!! Love that for less than $60 I am able to try 7 different products. I have tried some of the ordinary products and they don’t even compare. In less time than a week I already notice my skin feeling softer, smoother, and glowing. My favorite products are the overnight exfoliating serum, super peptide serum, and the Ulta-hydrating face oil. I recently had the opportunity to try this entire line and I’m So glad I did! I love having so many different options, as I tend to get bored easily with the “same old routine”. You can really change things up constantly with these products. I highly recommend getting the whole set, as each product has its own purpose. You can layer the serums under moisturizer or the oils, or just wear one or two a day depending on what your specific needs are. I notice my skin changes on a weekly basis due to hormones so it is really nice to be able to add a few serums or use just one or two if I’m feeling like my skin needs a break. The quality is outstanding! I have noticed subtle differences in my skin right away! Everything soaks in nicely and has not caused irritation. I have 3 small breakouts but I feel like my skin is purging. My face looks smoother and more filtered over textured areas when I wake up after using the exfoliating serum. I plan to keep using this. I’m so happy I purchased.